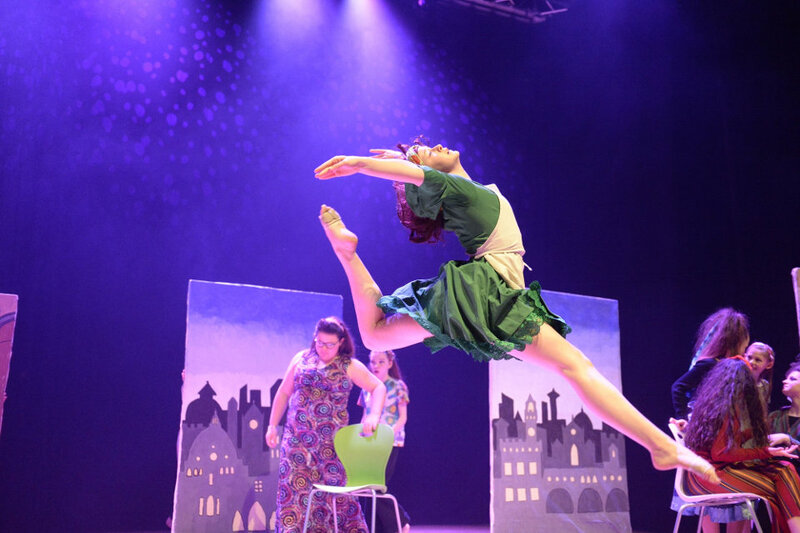 Congratulations to pupils, teachers and parents as this Isle of Wight secondary school picked up a host of awards at last night’s 2019 Rock Challenge®. Congratulations to pupils from Christ the King College (CtK), Newport, who made second place in the 2019 Rock Challenge® last night (Monday). Many conspired over the mortal nature of Leonardo Da vinci. A genius of our time or a madman of the renaissance? Or simply, a tragic victim of his own imagination. CtK College also jointly picked up the The Henry Smith Charity Award of Excellence for Set Design and Function, The Henry Smith Charity Award of Excellence for Entertainment, Rock Challenge® Award of Excellence for Stage Crew, as well as the ACRO Criminal Records Office Award of Excellence for Lighting and the Rock Challenge® Award for Parental Involvement . The event at Portsmouth Guildhall attracted a large audience and was supported by a number of sponsors. Attending this evening were a panel of expert judges. Jack is a teenage boy who has grown tired of pretending to be something he’s not. By finding his inner strength and bravery of facing who he is, and not being afraid to show it, his story celebrates inclusivity, and that at the core of it, love is love. Inspired by the poem ‘Selfie’ by Brian Bilston, our dance explores the pressures and ideals that the media can inflict upon young adults. The celebrity fashion crazes that possess teenagers are turning them into clones obsessed with filters and online followers. Our performance recognises the rise in social media influence but celebrates the individuality of our students.